Multifunctional furniture become more and more popular and the following example is for sure worth for your attention. “Mister T” was created by Paris-based designer Antoine Lesur for French firm Oxyo. 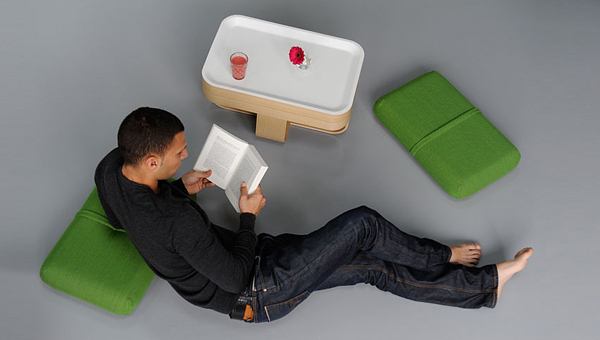 Oxyo claims that it “edits objects for the modern lifestyle” and this item is a part of its first collection. As you could see “Mister T” isn’t just one thing. Consisting of a basket, a tray and two cushions it carries many functions and can serve as a low table, a tray, a seat, a footrest. 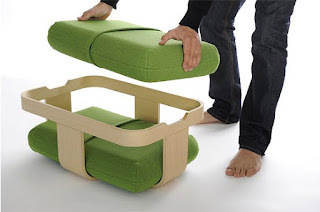 Stylish and functional all-in-one furniture piece.